I've always been an avid collector of clothes. I've been interested in shopping since before I was even earning money, and used to consider shopping a favourite pastime. As soon as I did start to earn my own money, I would hit the shops hard, buying more and more and revelling in the freedom of being able to wear what I liked and spend my money on the things I wanted. That hasn't really changed, to be honest. I still love to shop, and I love to spend money. I love fashion and putting together new looks, whether that's cheaply from the chazza or scored in high street sales. However, there came a point recently where I felt that my possessions had started to possess me. I have always been quite a tidy, organised person, and whilst I don't mind a bit of clutter (I'm certainly not a minimalist!) I found myself looking at my wardrobe and it began to cause me anxiety. 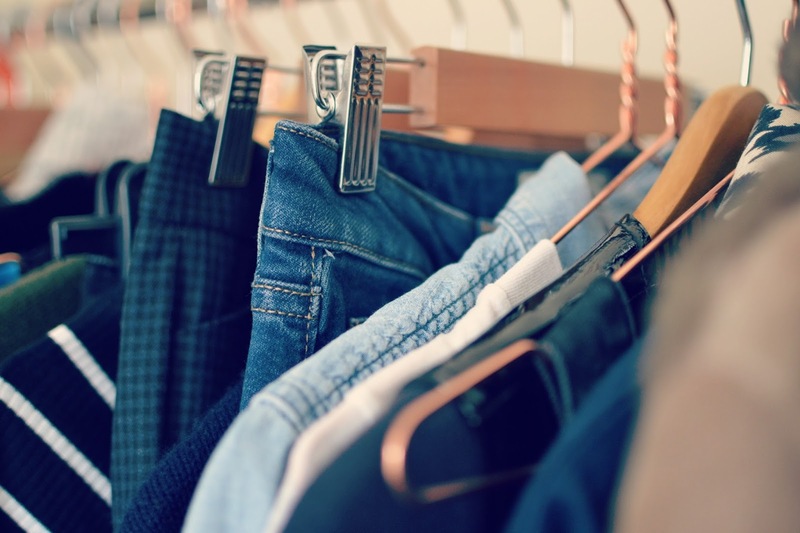 I was stuck in a sort of vicious circle for a while and I'm not sure how it happened; my enjoyment of shopping and buying clothes began to be overtaken by a need to constantly be topping up my wardrobe. Any excuse was valid; good for work, good for the weekend, good for a treat, good for the blog. Any reason, really, to shop was validated and as soon as I'd made a purchase, I'd start thinking about the next one. Instant gratification from purchasing online gave way to a sense of relief when something was in my basket, but as soon as the transaction was complete, I'd be looking for the next thing. The result? A whole lot of stuff I never wore, wasted money and no space in my wardrobe! I found 'Unfancy' a minimalist fashion blog, and it really resonated with me. Here was someone too, who spent a lot of money on clothes, had nothing to wear, and ended up not even liking half the things she would buy. Her solution? 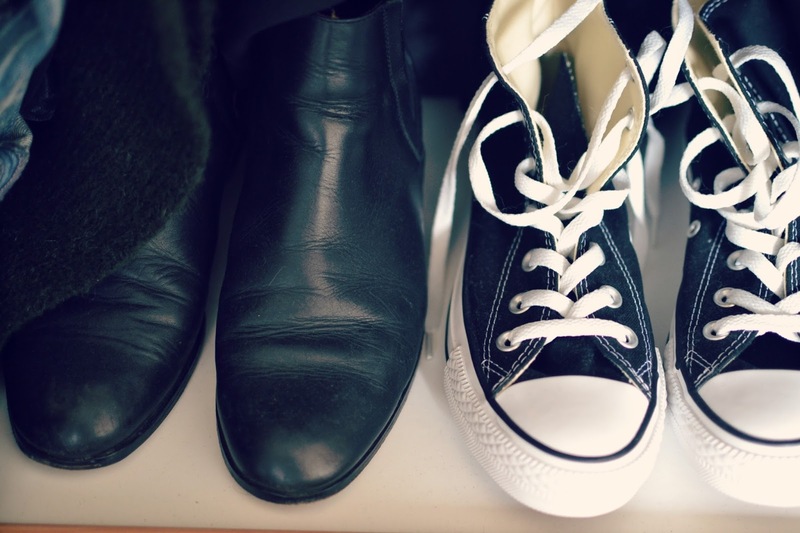 Create a minimalist wardrobe of outfits made up of 37 pieces, including shoes. I probably have 37 pairs of jeans. Girl, this sounds like a great idea, but it's never going to work out for me. And to make the process even more fun, once you've sorted out your capsule wardrobe for the season ahead, you can't shop. Until the end of the season. You read that correctly. You can't shop. This sounds more and more like the worst idea ever. But I thought I'd give it a try, because it might make my existing wardrobe work harder, and I might be able to see what I have without all the extra things that I have gone off blocking up the view. So, I tried it. And whilst I adjusted the number of items a little (40 pieces currently, including shoes) this is ok-it's about what works for you. A 40 piece wardrobe works well for me. I have found it easier to dress for weekends than work, as my style is innately more casual, but I'm enjoying putting together smarter looks from the pieces, too. The nicest thing of all is that I feel I can breathe. I can actually see what I've got, rather than being blinded by white noise. And the 40 pieces? All pretty much favourites, so no chance of not wearing them. 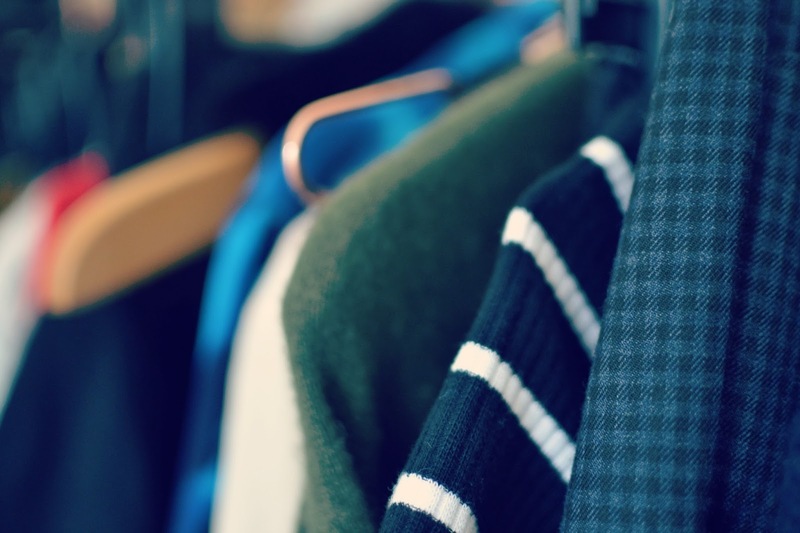 It's the whole 80/20 rule, isn't it; that we wear 20% of our wardrobes 80% of the time. So why not just utilise that 20%? 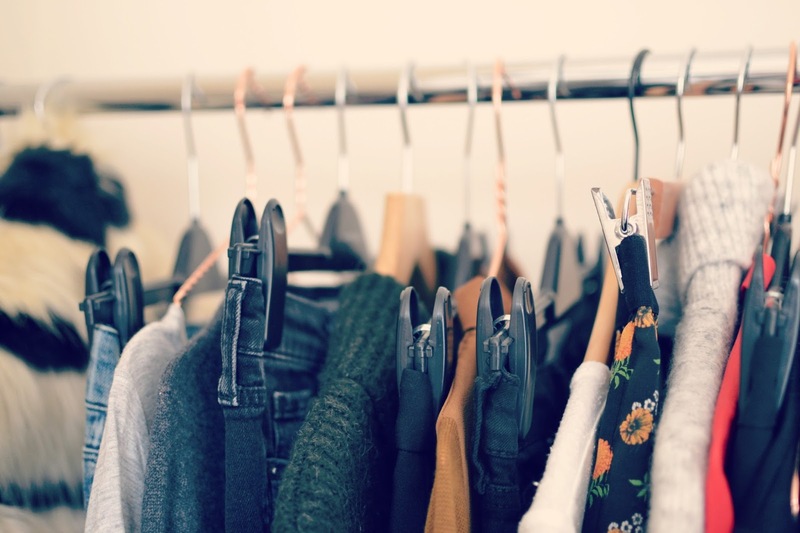 I'm going to do a few more posts around this 'capsule wardrobe' idea so as not to make this post incredibly long, but I would be so interested to know if you have ever tried 'capsuling' and if you have any tips on what works for you? Let me know in the comments.